This past weekend, Kay Royal, Jenny Ridnour, and I attended the CanCare Volunteer Conference in Houston, Texas. As members of our CanCare Atlanta leadership team we wanted to both participate and represent at the conference. 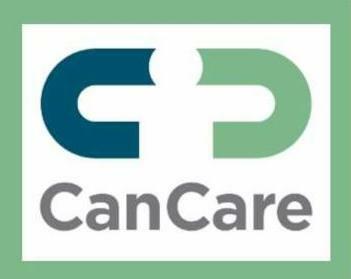 We were excited as CanCare revealed our new website and branding. How we participate in and represent the body of Christ in our world is through using our bodies. In the CanCare logo, look for the human figure in the middle. You will see a person extending their arms to bring two separate entities together. Through the faithful participation of JCPC in the mission of CanCare we have helped to extend the arms of Christ to many difference parts of our country. This year, two of our CanCare trainers helped to establish chapters in Colorado Springs and Charleston! There are more to come. On a final note, CanCare Atlanta is partnering with Emory Johns Creek Hospital to discuss the newest cancer treatment: Immunotherapy. Click here if you are interested. Help us be the arms of Christ, O Lord, to embrace our world. Teach us to be the eyes of Christ so that we see the needs of our world. Inspire us to be the feet of Christ so we will take your good news out into our world. Amen.